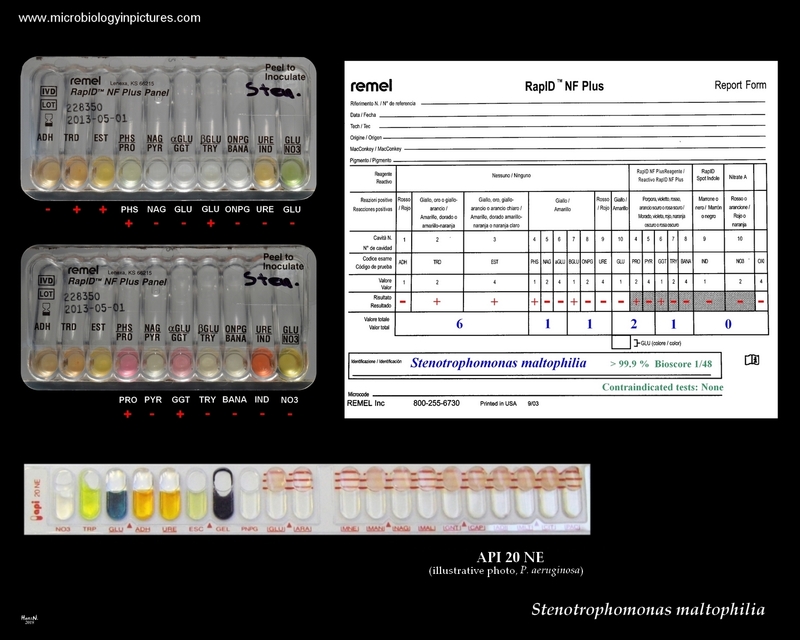 Stenotrophomonas maltophilia identification with the RapID NF Plus commercial biochemical kit. Stenotrophomonas maltophilia biochemical identification with the RapID NF Plus (Remel). There are many options for the biochemical identification of S. maltophilia. For example commercial test strips like api20 NE or RapID NF Plus may be used.